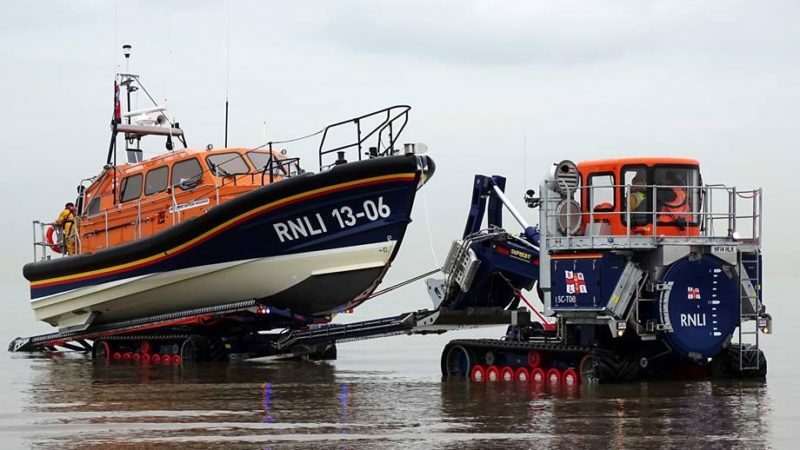 gCaptain reports the Royal National Lifeboat Institution has a new class of 13 meter motor (Surf) Lifeboats that are unique in being waterjet propelled. 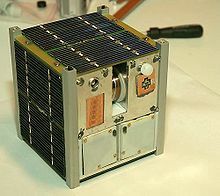 Most Shannons are launched by a newly-designed launch and recovery system by which a tractor propels the lifeboat on its cradle into the water. The cradle is then tilted and acts as a mobile slipway as the boat is launched by release of a single chain from the wheelhouse, rather than the old carriage launched method of four chains being released by crew members on deck. Recovery is bow first onto the cradle, which then rotates through 180 degrees, enabling the boat to be launched again within ten minutes. Some Shannons will be kept afloat at moorings or a pontoon berth and the boats are also capable of being slipway launched, although only Swanage currently has a slipway launched Shannon. The boat at Workington uses the same unique davit crane system as the previous Tyne class boat. 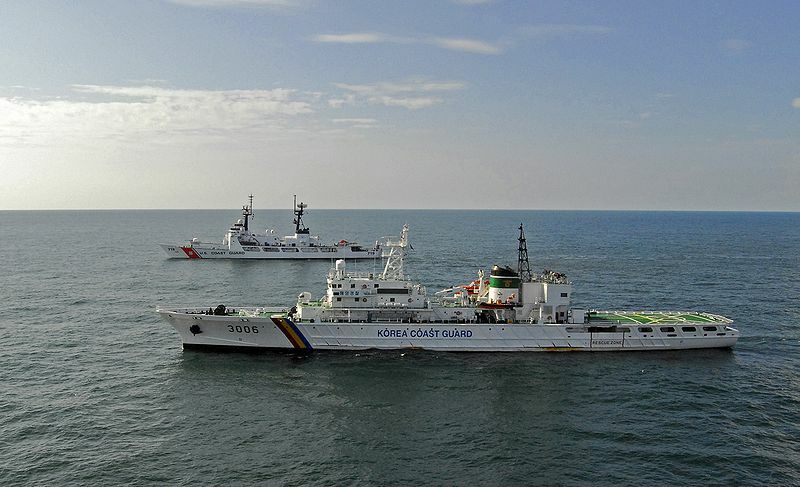 Republic of Korea Coast Guard vessel #3006 in company with U.S. Coast Guard cutter USCGC Boutwell (WHEC-719) during the North Pacific Coast Guard Forum in August 2007. This forum was created to increase international maritime safety and security in the Northern Pacific Ocean and its borders. The Boutwell worked with the Korean coast guard while on their way to Yokosuka, Japan. The Japanese coast guard is one of the six nations involved in the forum. War on the Rocks offers a suggestion as to how to build greater cooperation and trust and support international norms in the Western Pacific. This seems like a pretty good idea, but I would suggest one change. 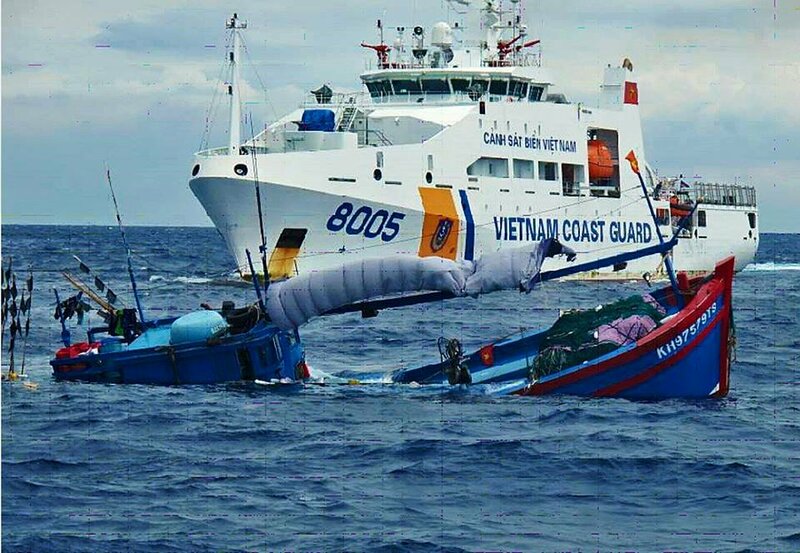 Make the purpose of the force Law Enforcement (particularly fisheries), SAR, and Disaster Relief/Humanitarian Assistance and use primarily Offshore Patrol Vessels instead of conventional warships. Signaling a shared belief in the norms of international behavior, and a determination to uphold those norms, would be the primary objective. There are lots of potential participants beside the USCG, they might include navies or coast guards of Vietnam, Indonesia, Brunei, Singapore, Australia, India, Malaysia, Thailand, Japan, S. Korea, and the Philippines. COM7thFleet has already asked for a USCG presence, but this would not be under the COCOM. It would be a cooperative enterprise between participating nations, in most cases, coast guard to coast guard. All the vessels involved could host ship riders from the nation(s) where the force is operating. We already plan to have most of the Bertholf class cutters in the Pacific, and putting three OPCs in Guam could further facilitate the arrangement. 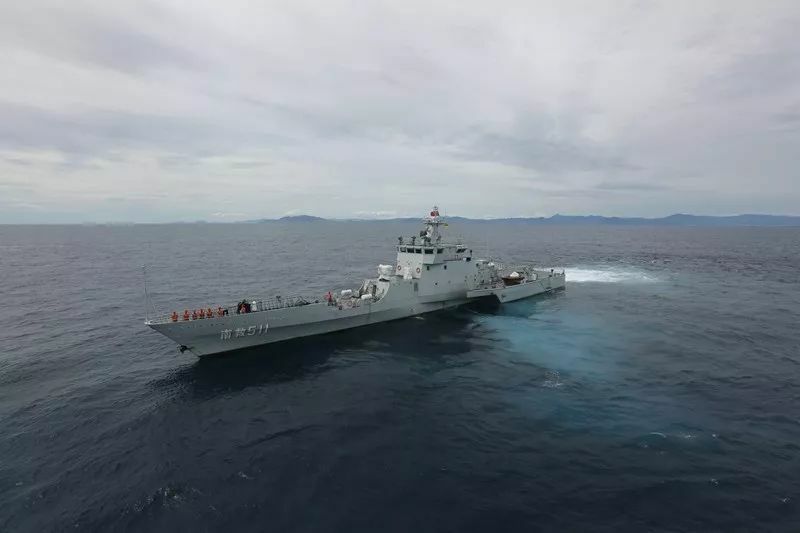 This avoids the complications of a military alliance, but strengthens the hand of SE Asian nations that might otherwise be intimidated by China. Photographs taken during day 3 of the Royal Australian Navy International Fleet Review 2013. The Bruneian patrol vessel Darulaman moored in Sydney Harbour. 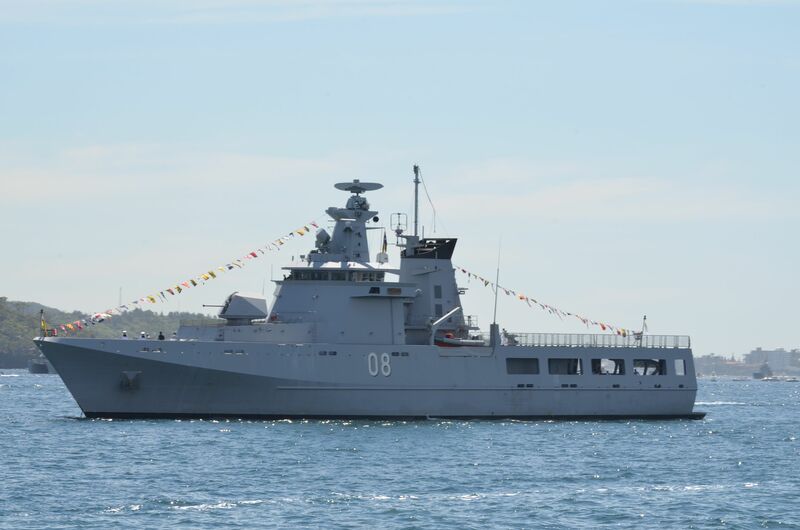 Australia is building 12 similar ships. Photo by Saberwyn. In June 2011, several US VH-71s, which are also based on the AW101, were purchased by Canada to be used as spare parts for the CH-149 fleet. In 2017, the Liberal government announced funding for the mid-life upgrade of the fleet, to be led by ‘Team Cormorant’, a team composed of Leonardo Helicopters and IMP Aerospace and Defense. Estimated at around C$1.5bn, the programmes will offer a common fleet featuring latest avionic and mission systems, advanced radars and sensors, vision enhancement and tracking systems as well as a new 3,000 horsepower (2,200 kW) GE CT7-8E engine. On May 10, 2017, a report by the Senate Standing Committee on National Security and Defence recommended the government move forward with a proposal to expand the Cormorant fleet by upgrading the 14 CH-149 aircraft and converting seven VH-71 airframes currently in storage to the same operational capability. This would expand the Cormorant fleet to 21 aircraft, and keep them operational until 2040. All of the upgraded helicopters are expected to be delivered by 2024. 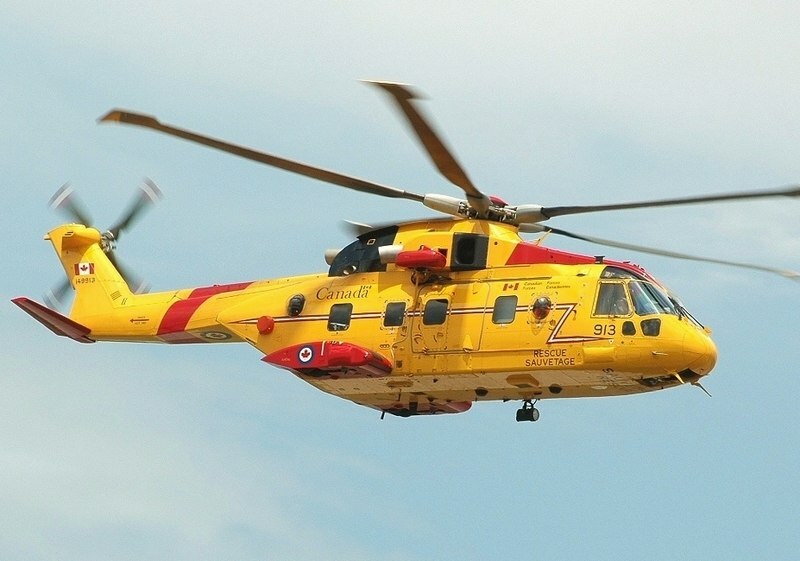 The RCAF has already begun operating the CH-148 as a replacement for 50 year old SeaKing (H-3) helicopters. Navy Recognition reports a navalized ASW variant of the S-92, has recently completed a series of test with the Canadian Navy, operating day and night from Canadian frigates HMCS Montréal and HMCS Halifax (12% larger than the National Security Cutter) in up to and including Sea State Six seas. a ground support tool with an articulating arm that, with the Recovery, Assist, Secure and Traverse (RAST) system, allows the deck crew to remotely align the aircraft’s nose prior to guiding the helicopter into the hangar. This program was plagued by developmental delays and may have left a bad taste in the mouths of Canadian procurement personnel, but there would be undoubted advantages in operating a common type of helicopter. 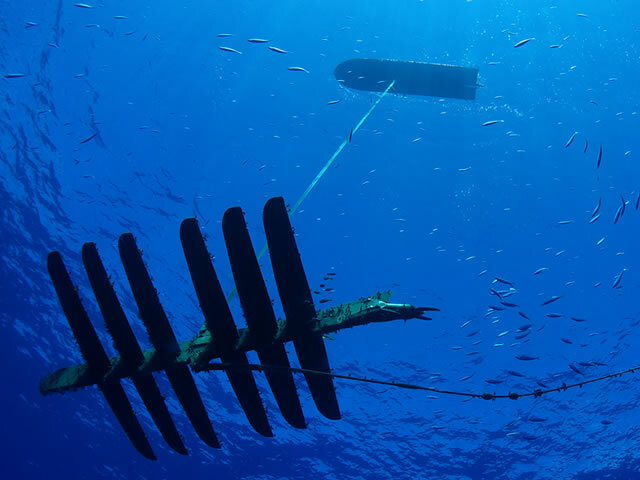 We have discussed the Liquid Robotics Wave Glider before, as a way to improve Maritime Domain Awareness, noting it is being used by the Brits for fisheries monitoring and by Boeing in support of the US Navy. Certainly better information about surface currents could help us in search planning. A friend, Lee W., sent me some information on Pea Island and the Life Saving Service on the Outer Banks of North Carolina. More travel log than an organized post, but hope you find it interesting, as I did. Oregon Inlet. The surge under the old bridge and through the inlet was wicked! They tore the old high bridge down and built a combination causeway and bridge on the sound side. See below. The Station house that used to be on the spit of land to right. Now it has been restored at the Pea Island Wildlife Refuge. In 1880 Captain Richard Etheridge, a former slave and Civil War veteran, was appointed as keeper of the Pea Island Lifesaving Station, 30 miles north of Cape Hatteras. Sumner I. Kimball, Superintendent of the US Life-Saving Service 1871-1915.